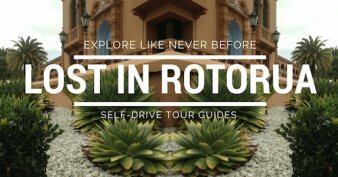 Discover the best Rotorua Souvenir shops to obtain small mementos (okay, large if you must) or gifts. 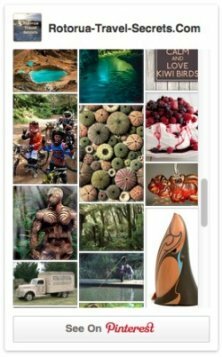 You'll find kiwiana, jade (we call it pounamu or greenstone), and authentic māori carvings applicable to all budgets. Learn too, how to handle GST (Goods & Services Tax) with pricier items, how not to be ripped off and, how to shop for souvenirs to remember. 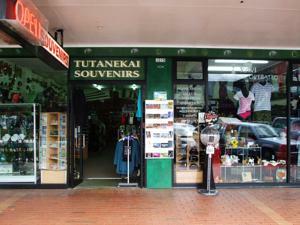 Rotorua has some really good places to get souvenirs and gifts from. In the ordinary course of events, you will come across gift shops offering quality goods at the various attractions so I won't mention those here - hmm, I lie. Apart from one. More on that later. In New Zealand we, and you as a visitor, are protected by consumer laws. 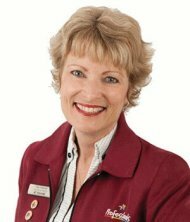 That makes any business liable if they mislead, give false information, or use unfair trading practices. Learn more about your rights before you buy, after you buy, on pricing, eating out, accommodation, getting around, souvenirs, environmental claims and duty free at www.comcom.govt.nz. Located on Tutanekai St, this family owned and operated business seems to have been around for years and years. Lovely people, stop in, have a chat. 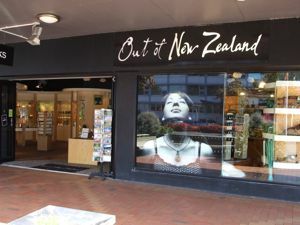 From the tiniest key rings, magnets etc through to skincare products, NZ t-shirts, jewellery, māori souvenirs and dolls, merino and possum products, this place is packed with a wide range of goodies that caters to all budgets. We are very lucky to have Mountain Jade. 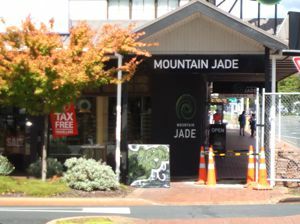 Previously known as the Jade Factory, it is NZ's No.1 source of good quality jade jewellery and artifacts. Jade is known as Pounamu or Greenstone in New Zealand. It's found mostly in the South Island on the West Coast. My cousin Gary lives there and literally falls over Pounamu when he's out fishing. Mountain Jade sells souvenir pieces of Pounamu made into necklaces, earrings, pendants etc. and... wait for it... dog tags of all things. I hadn't heard of that before now. They also make gorgeous pieces of Jade art that can attract a hefty price-tag. Onsite is a Carving Studio and you can take part in a free tour if you want to learn about jade and watch the carvers working. The tours run daily (apart from Christmas Day) at 10am, 3pm and 4.30pm. You will have to take a look at Mountain Jade's website. It has the fascinating, slowly unfolding story of the original founder, John Sheehan and his partner Jin Hong "Dracky" Zhang. They have taken this business from a tiny start-up to a world-class operation. Mountain Jade also owns this store which is conveniently located next to the iSite information center. Out of New Zealand has a good selection of Jade jewellery as well as other touristy paraphernalia. They have quite a few good sales which my friends and I take advantage of so hopefully you're here when one is happening. Another place to find locally crafted souvenirs would be at RAVE, our local arts village. Featured are knitted products, pottery, paintings, clothing, books; all sorts in fact. A vase full of knitted flowers would be the most unusual item I've seen there. 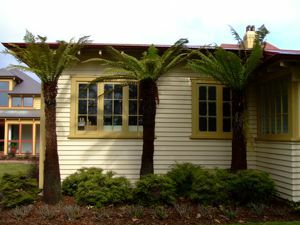 The Hot Lakes Craft Market, mentioned on the Rotorua Markets page, is an opportunity to see an array of Baywide arts & crafts if you happen to be around when it's taking place. If you are specifically after Māori gifts, ie. carvings, two good sources would be the Taonga Gallery at Te Puia or the Rotorua Museum of Art & History. Goods & Services Tax (GST) of 15% is paid on all goods and services in New Zealand, and there are no refunds for visitors. Boo. arranges to send the goods to an overseas customer. Keep this in the back of your mind when considering costlier purchases. The cost of GST could quite possibly outweigh shipping or postal costs. Ask the retailer, eg. Mountain Jade, to help you out. Check out this great article on Fox News (2009) about buying souvenirs. "How To Buy Souvenirs That You'll Want To Remember". It's given me excellent ideas for when I next go travelling and souvenir shopping. Think - grocery stores! 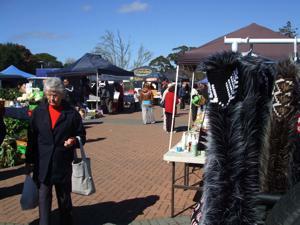 With one of the Fox News tips you'll have to take a look my Rotorua Markets page. Use this google map to find your way to the souvenir shops easily. As you can see, they are all within walking distance of each other. If you fancy visiting the lot, that is. Overall you will find that prices are comparable between all the stores and generally cater to all budgets. Unless, best of all, you catch them having a sale. 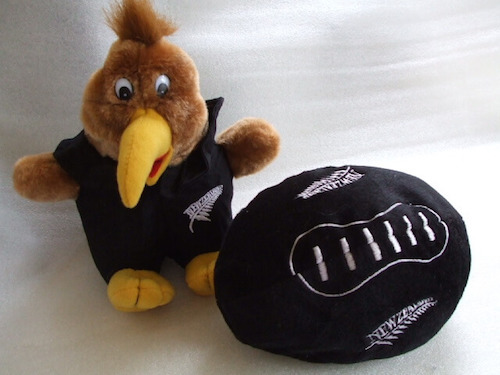 Enjoy your Rotorua souvenir shopping experience.